Yet another survey company preaching “you can make money and receive products for free for just filling out a few surveys.” ClearVoice Surveys is just another company preying on the weak and desperate. Making a living (or even a decent supplemental income) at home by just filling out surveys because companies are begging for the opinions of “people just like you” is not going to happen with companies like this, and I’ll show you why. I am not an affiliate for ClearVoice Surveys. I will not put my name next to anything if it’s not going to legitimately help you make a decent income. There are other products out there that will work but this is not one of them. ClearVoice Surveys Review: Seems Simple Right? The premise of ClearVoice Surveys is companies are willing to pay the “average person” money to fill out surveys to give their opinions on their products and services. You fill out a profile when you sign up and ClearVoice will send you surveys that are relevant to you. Well… It is. But you aren’t going to make a decent income for the amount of time that is involved for your efforts. Like all survey companies, there’s one gigantic pitfall that everyone soon finds out after they sign up. Let’s break this down and you’ll see what I am talking about. Once you’ve filled out all the information you gain access to the members area. Here you’ll see the surveys you qualify for which you can start filling out straight away. You can even earn £0.30 for referring friend, up to 10 maximum, if they sign up too. Bonus! You’re making money without even filling out a single survey. Well, I’m afraid to say it is. For the amount of time I’m putting in, it looks like I’ll be making hardly any income at all doing this. I would earn a grand total of £0.80 for filling in these surveys. Wow! I’m going to be rich. 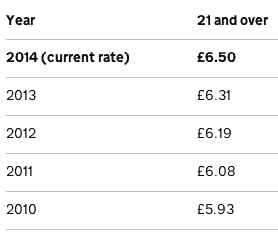 So as you can see for a person over the age of 21 the minimum wage is £6.50 per hour. Now even if we said each survey took 20 minutes, the shortest amount of time most of these surveys are to complete, we’ll make £2.40 per hour. £2.40 in one hour AND that’s if we receive 3 short surveys. This is 63% lower than the minimum wage. This is the problem with most survey companies. 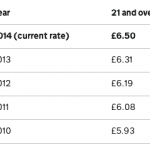 The earnings per hour are shockingly low. Take a look at previous reviews we’ve done of survey companies like Toluna, MySurvey, and VIP Voice. They all have the same underlying issue. It turns out I didn’t qualify after all. This isn’t rare occurrence either. Many people find out just after they get started that they don’t qualify. I was told I qualified for 2 surveys when I first created my account and I got the same message for both. Now I don’t qualify for any surveys at the moment and I only received £0.10 for the 5 to 10 minutes I spent on the surveys I was later told I didn’t qualify for. In roughly 30 minutes, which includes the 5 minutes it takes to set up my account, I earned a grand total of £0.20 and I have to wait 4-6 weeks before I can withdraw it. I certainly won’t be flying off to Switzerland for skiing holidays anytime soon at this rate. I really wish people didn’t fall victim to the sales videos these “fill out a survey and earn money” companies play on their home page because once you’re inside you’re left disappointed with the low income potential. Not only that but you’ll quickly find your inbox full of spam as well. The only positive thing I can say about ClearVoice Surveys compared to other scams online is that it doesn’t cost anything to join. My review on Traffic Brokers is another example of a product that will leave you disappointed, but you have pay $49.95 per month for those feelings. With ClearVoice Surveys… It comes free of charge. Don’t get down-heartened though. There are ways for you to make an income online from the comfort of your own home. You can make a decent part-time income online taking surveys and completing other activities, you just have to make sure to join the right program. Read our review of Swagbucks, who’s a ClearVoice competitor, to see what a decent paid survey site actually looks like. Now I want to hear from you. I want to know how many surveys you’ve filled out in the past before it was clear that you were just wasting your time. Was it with ClearVoice Surveys? Maybe it was with a different company? Either way, I want to know your opinion on companies like this. Leave your comments below and let’s help the 1000’s of people who are still signing up to these schemes realise that they are better off putting their time and efforts elsewhere. Description: Not all paid survey sites were created equal, and ClearVoice is case and point of what a lower-end one looks like.